We will review the editing of users on a SilverStripe website so you can get a better understanding of the process. We will follow the steps for editing theadministrative user on your website, but the same process can be applied to any user in SilverStripe. The first step of the process is to access the administrative area of your website. Once you do so, locate and click on the Security option from the menu on the left. You will see a list of all users on your SilverStripe website. Click on the one that you wish to edit. In our case, this is the Default Admin user. Simply edit the details that you wish to change for the user. If you would like to change the password, you can click on the Change Password button. 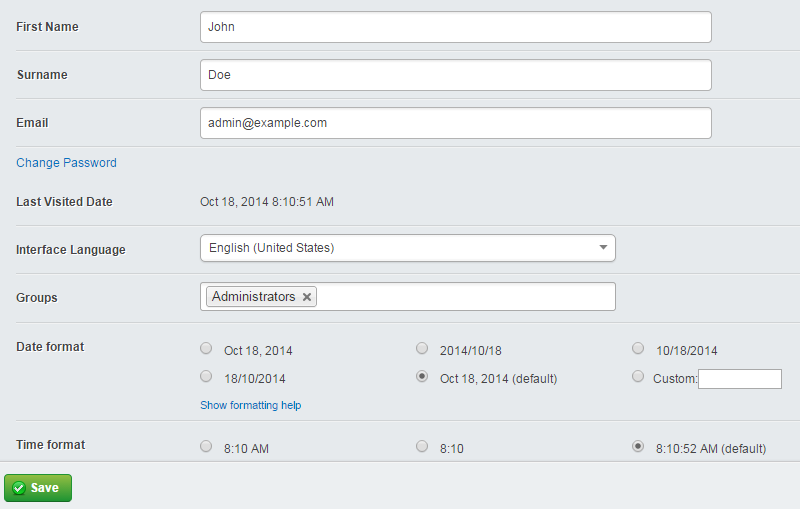 When you are ready with the changes, click on the Save button below the form.